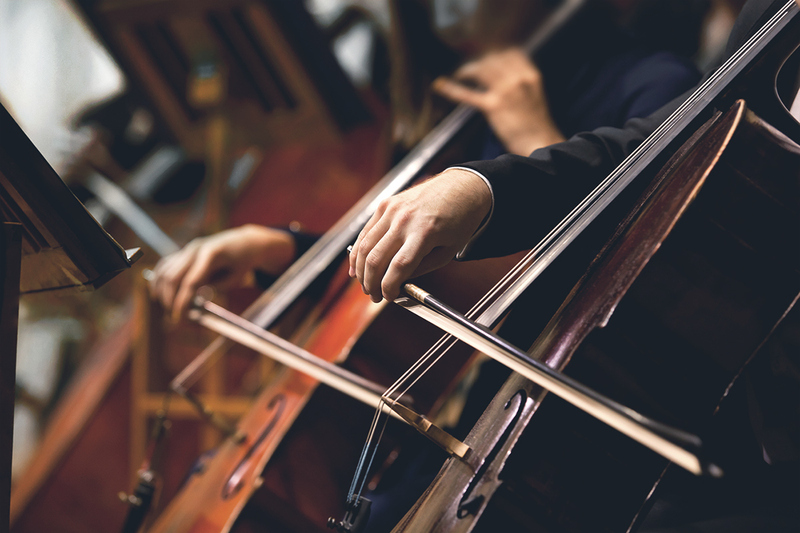 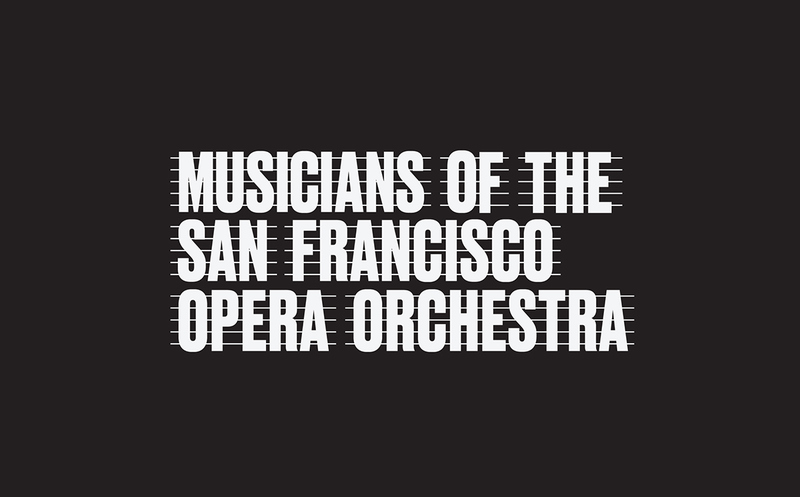 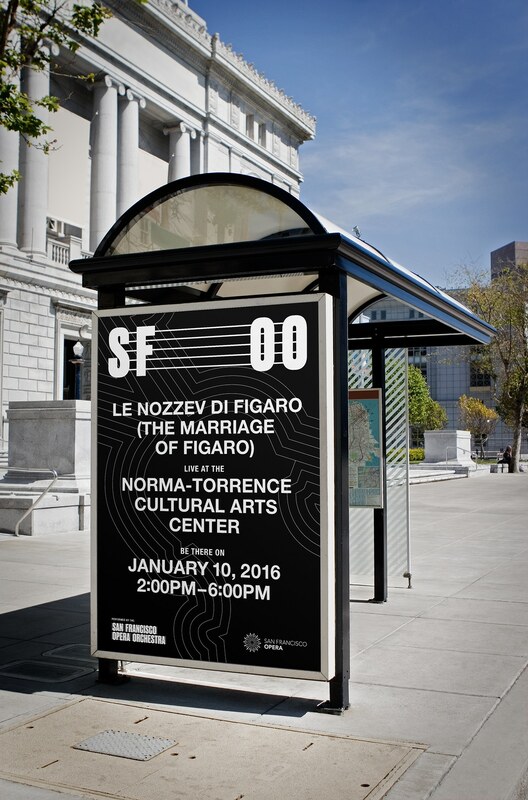 This past year, we had the pleasure of working with the San Francisco Opera Orchestra. 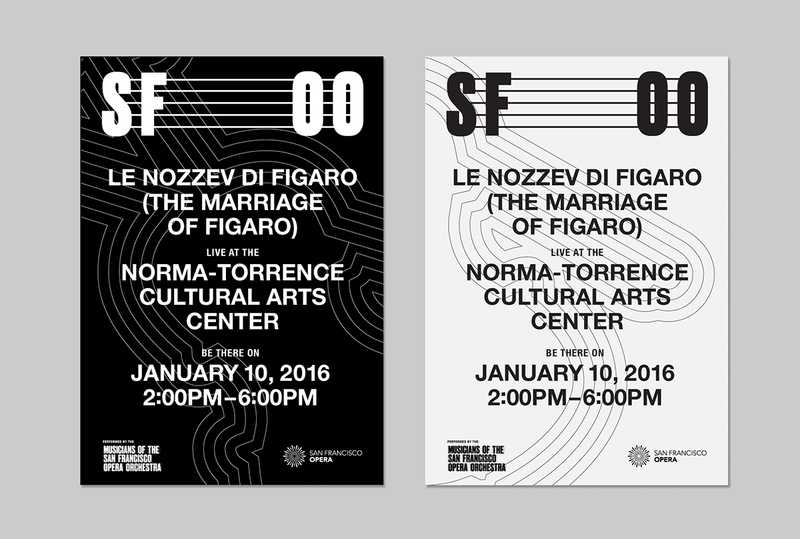 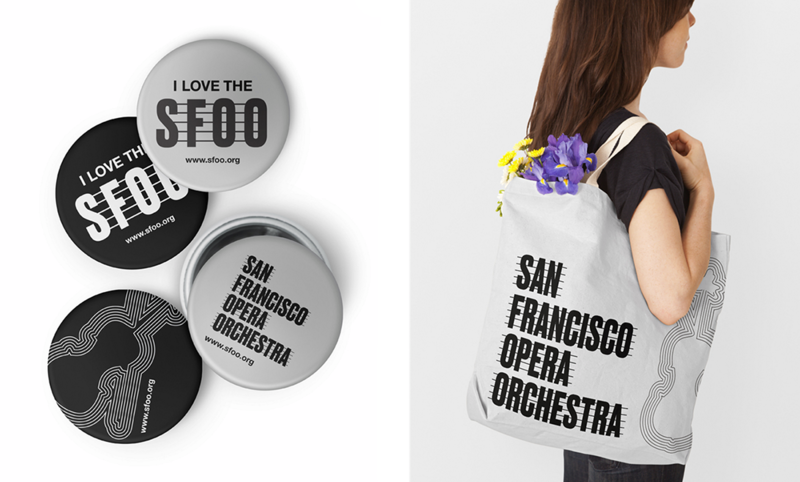 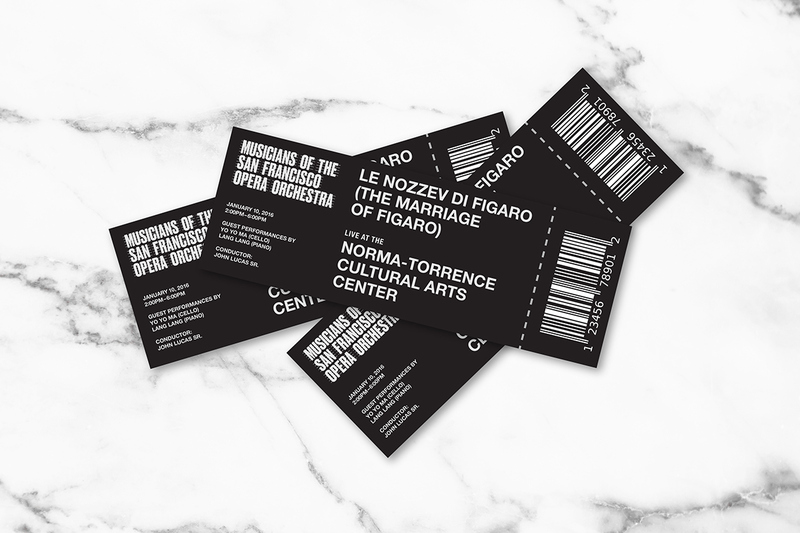 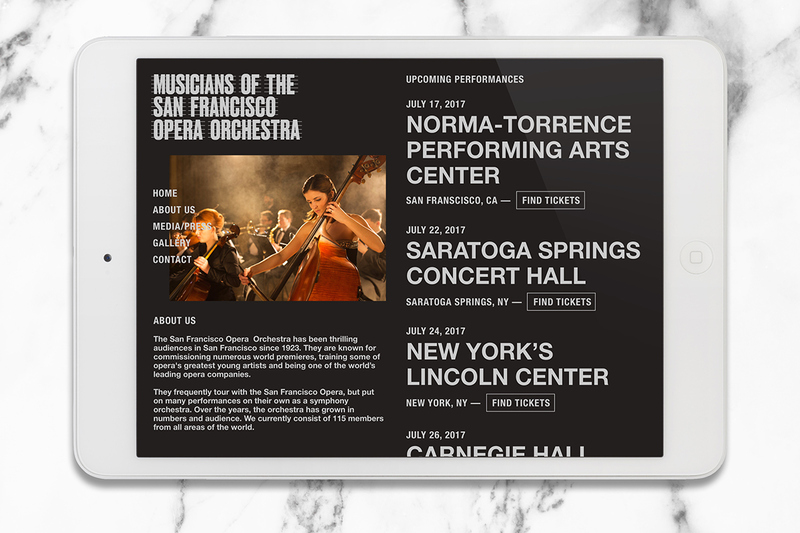 They approached us in need of a new identity to distinguish themselves from the larger San Francisco Opera, since they regularly performed on their own as their own entity. 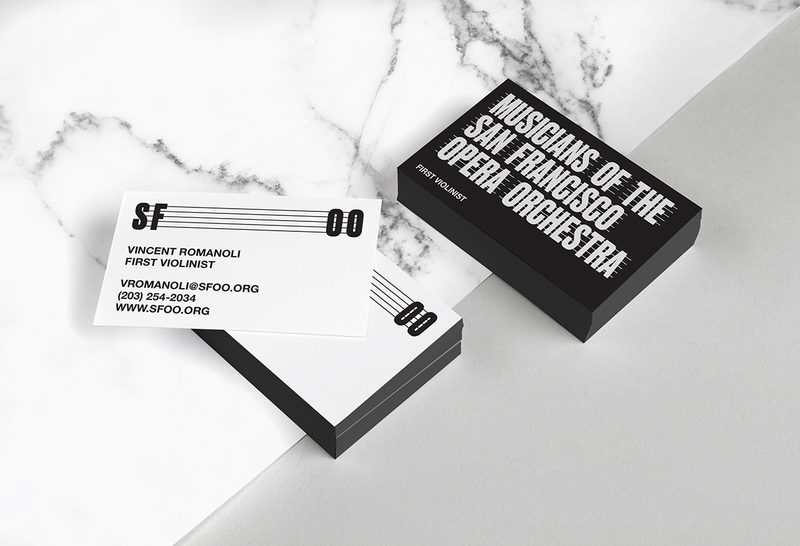 We worked closely with the players themselves to establish a new identity based on the 5-line staff. 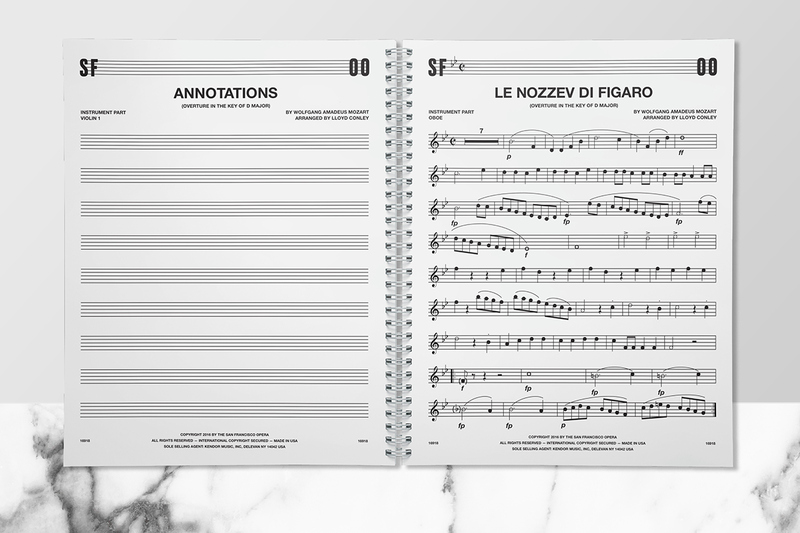 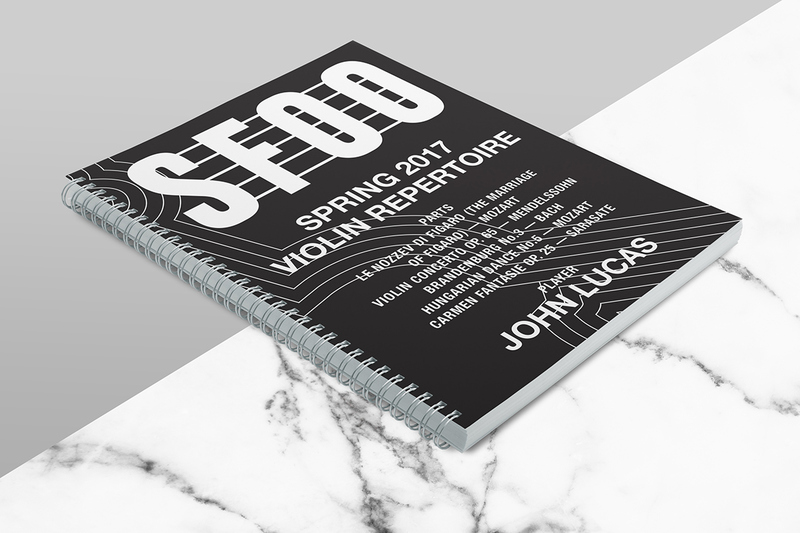 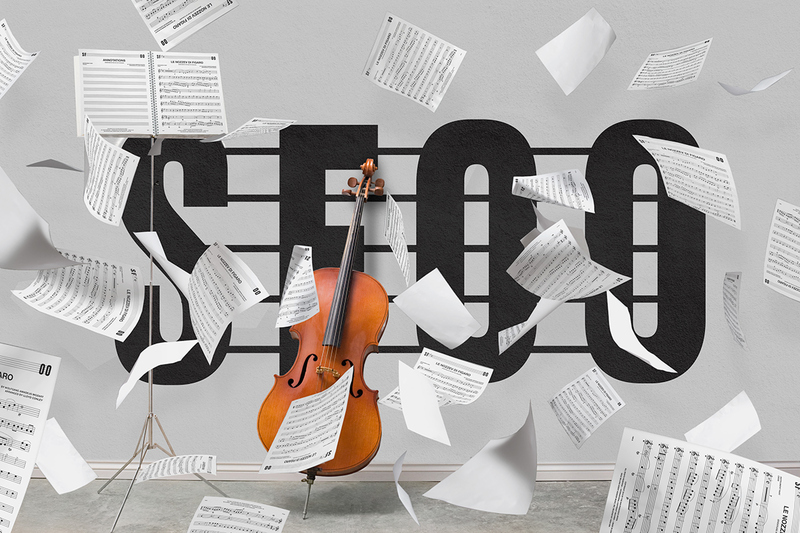 Using the staff as a graphic device, we were able to create a fluid system that could establish the key any particular piece of sheet music, based on the positioning of notes within the SFOO mark. 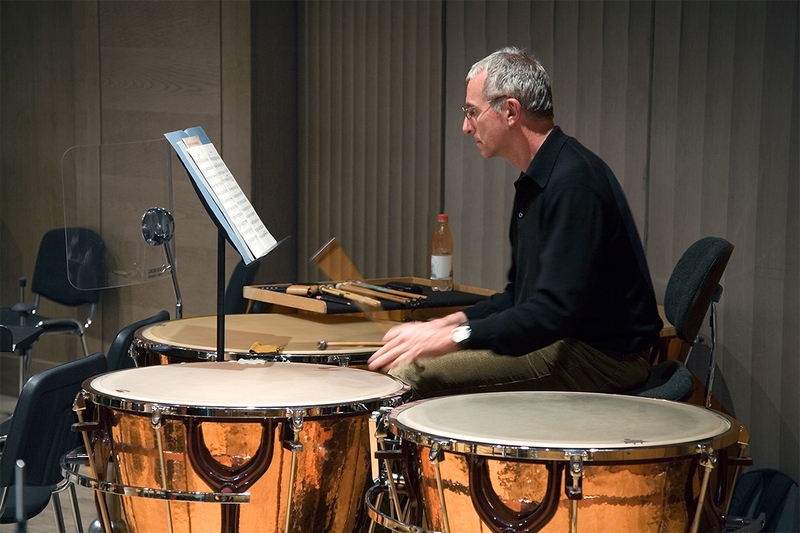 The staff lines were also used to create a concentric illustration system that alluded to the sonic radiation of sound.